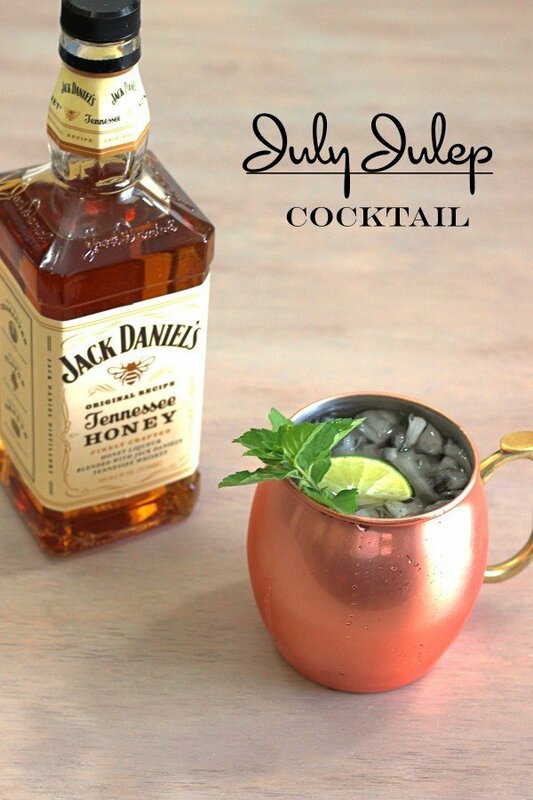 The July Julep is a twist on the Mint Julep. This one features Jack Daniels Honey along with a touch of mint, ginger and lemon. Note that I got the Jack Honey free from the company to try, and to create recipes with, but I liked it so much I have since repurchased and plan to do so again. It’s a well-balanced combination of sweet, spicy and sour, rounded out with the traditional smoke and corn notes associated with Jack Daniels whiskey. The mint doesn’t overwhelm, as it can in some recipes. It’s there, and you recognize it, but the lemon, ginger and honey keep it under control. This is definitely a drink for barbecues. It’s light and not overly sweet, so it gives the sense of cutting through a greasy or heavy meal. It’s refreshing too, especially on a hot afternoon. 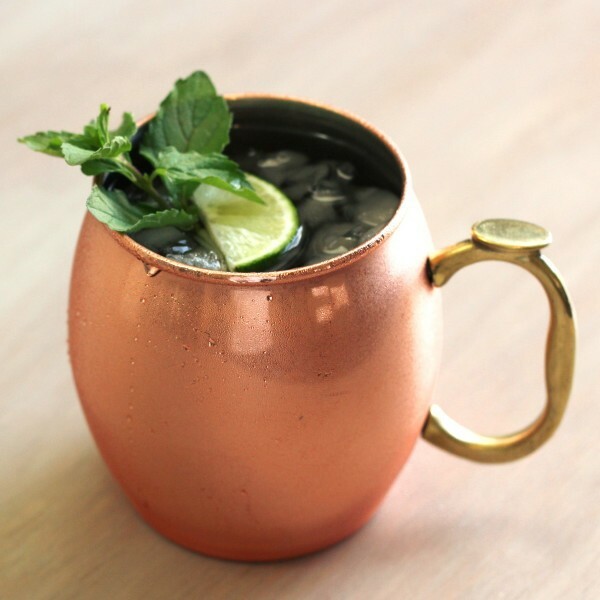 It’s supposed to be served in a copper mug (I used the Oggi Moscow Mule Copper Mug), because copper keeps it cold longer, but for an outdoor party you can serve it in any glassware you prefer. Pour the lemon juice, ginger syrup and Jack Honey into a mixing glass. Add the mint leaves and muddle until they release their aroma. 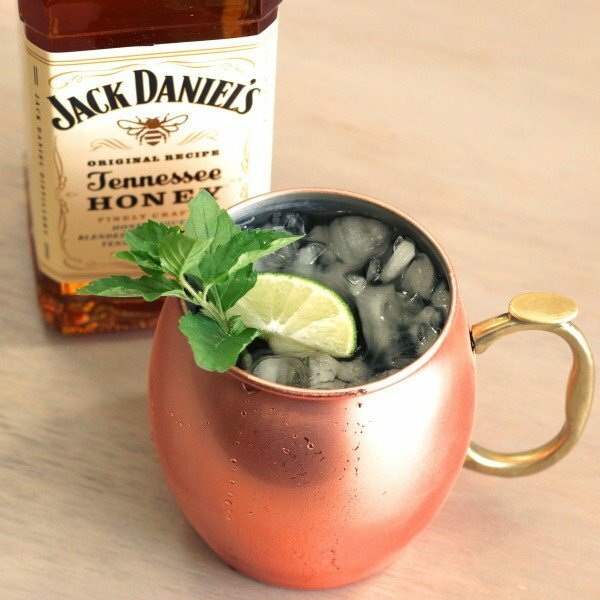 Fill a copper mug with crushed ice and strain the mixture into it. Garnish with a fresh mint sprig and a lime wedge. Works great! Good taste and surprisingly easy to make!